Do you want to maximize your affiliate revenue? Using Google Analytics, you can track affiliate link clicks on your site and gather all the data you need to optimize your links for maximizing affiliate revenue. In this article, we’ll show you how to set up affiliate link tracking in WordPress. Tracking the clicks on your affiliate links allows you to gather all the data you need to optimize your links to make more money online. Traffic sources of your highest converting visitors, so you can focus on promoting your content where it gets you the best ROI. Top earning pages where your affiliate links with the most clicks are placed, so you can optimize your highest-earning pages to make more money. New content opportunities to earn more affiliate income. Before we dive into tracking your affiliate link clicks with Google Analytics, let’s take a look at why it is essential to cloak and manage your affiliate links. When you first start out as an affiliate marketer, you may find it easier to promote affiliate products by simply adding affiliate links in your blog posts. As you grow as an affiliate marketer, you’ll likely use the same affiliate link on tons of different blog posts. But what if the company you’re promoting changes your affiliate link? You’ll need to dig deeper into every blog post you publish to find and replace the affiliate links you’ve added. Or else, you’re losing money. Obviously, that’s a tedious task. That’s when link management comes in handy. If you use an affiliate link management plugin like ThirstyAffiliates, you can organize all of your affiliate links in a single place, so finding and replacing won’t be a hassle. Apart from that, it also allows you to cloak your affiliate links, so you can turn your ugly affiliate links to pretty links. Best of all, using an affiliate link management plugin allows you to easily track and optimize your affiliate links with Google Analytics. If you’re an affiliate marketer who is not still using an affiliate management plugin, you’re missing out a cool opportunity to better organize, track and manage your affiliate links. For detailed instructions on how to get started organizing your links, check out this tutorial on how to add affiliate links in WordPress with ThirstyAffiliates. Once that’s set up, you can start tracking your links to get all the data you need to optimize your earnings. 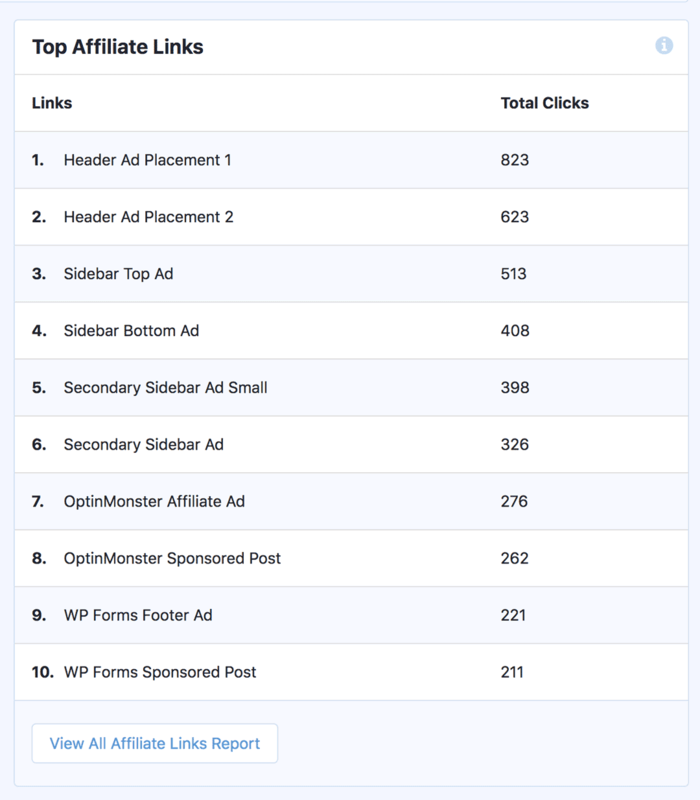 The best way to track affiliate links in WordPress is by using MonsterInsights. 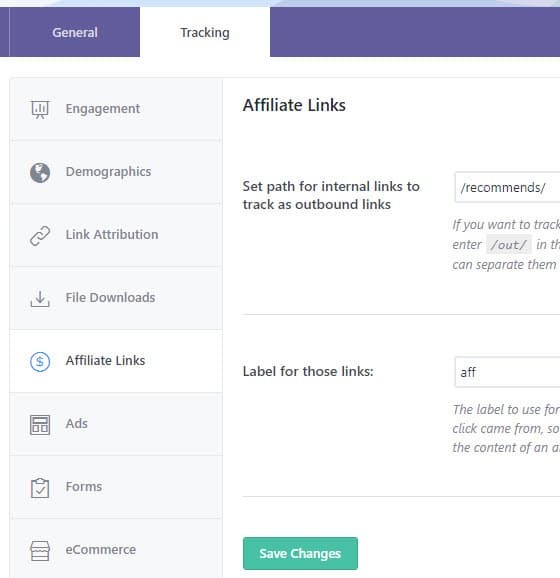 MonsterInsights allows you to set up affiliate link tracking in WordPress with just a click – no need to modify your Google Analytics code. To get affiliate link analytics on your site, go ahead and Install MonsterInsights. After installing and activating the plugin, you’ll need to connect it with Google Analytics. Read the step by step guide on how to properly set up Google Analytics using MonsterInsights. Navigate to Insights » Settings, and click on the Tracking tab at the top of the page, and then to the Affiliate Links tab in the left taskbar. You’ll now see 2 fields in the page. 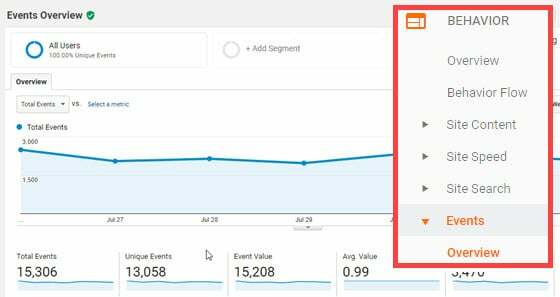 The label in your Google Analytics report lets you identify where the click came from. For example, you can add a label aff to your affiliate links. The label will be added to the end of your page URL, like outbound-article-aff. After filling in these 2 fields, you can click Save Changes. To find an overview of your affiliate link clicks report, you can go to Behavior » Events » Overview. You can also find top events and pages report just below the Events tab. Additionally, customers of our Plus Tier and above get their own affiliate link tracking right inside WordPress in their Publishers Report! We hope this article helped you set up affiliate link tracking in WordPress. If you’re also monetizing your blog with AdSense, you can learn how to optimize your ads using Google Analytics.